Kitakami (北上市, Kitakami-shi) is a city located in Iwate Prefecture, Japan. As of 1 March 2017, the city had an estimated population of 92,945, and a population density of 212 persons per km2 in 37,085 households. The total area of the city is 437.55 square kilometres (168.94 sq mi). 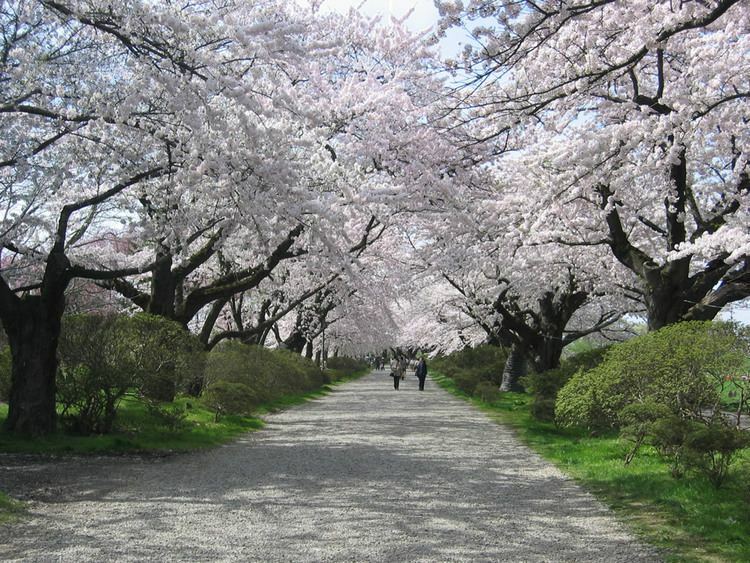 The city is famous for the sakura that bloom in Tenshochi Park. Kitakami is located in south-central Iwate Prefecture, in the Kitakami River valley, approximately 45 kilometers south of the prefectural capital of Morioka, and 490 kilometers north of Tokyo. 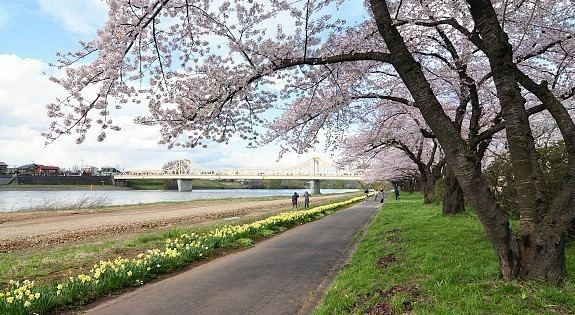 The city is at the confluence of the Kitakami River and the Waga River and has an altitude ranging from 50 to 200 meters above sea level, rising to 400 meters in the east. 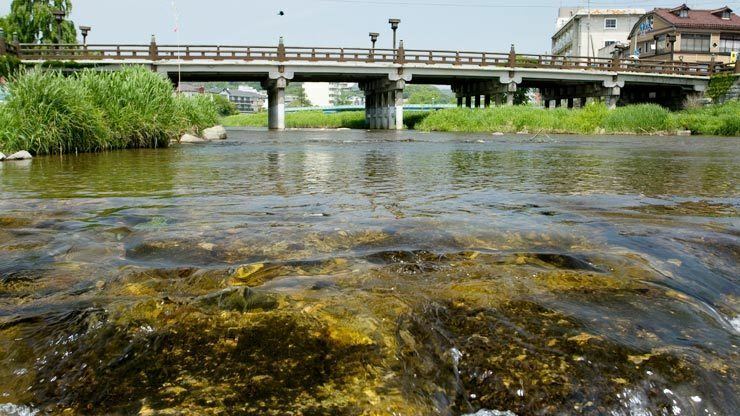 Kitakami has a humid climate (Köppen Cfa) characterized by mild summers and cold winters. The average annual temperature in Kitakami is 10.5 °C. The average annual rainfall is 1319 mm with September as the wettest month and February as the driest month. The temperatures are highest on average in August, at around 24.3 °C, and lowest in January, at around -2.4 °C. Per Japanese census data, the population of Kitakami has steadily increased over the past 40 years. The area of present-day Kitakami was part of ancient Mutsu Province, and has been settled since at least the Jomon period by the Emishi people. The area was a stronghold for the Emishi chieftain Aterui until his death at the hands of Sakanoue Tamuramaro. During the later portion of the Heian period, the area was ruled by the Abe clan, and became a battleground during the Former Nine Years War The Abe were followed by the Northern Fujiwara clan. During the Sengoku period, the area came under the control of the Nanbu clan. The area was part of Morioka Domain during the Edo period, under the Tokugawa shogunate, with the exception of two villages on its southeastern border, which were under Sendai Domain. The town of Kurosawajiri was established by the Meiji period creation of the municipalities system on April 1, 1891. The modern city of Kitakami was founded on April 1, 1954, by the merger of the town of Kurosawajiri, with the villages of Iitoyo, Futako, Saraki, Oniyanai, Aisari and Fukuoka. On April 1, 1991 Kitakami absorbed the neighboring village of Ezuriko and town of Waga (both from Waga District). Kitakami has a mayor-council form of government with a directly elected mayor and a unicameral city legislature of 26 members. The economy of Kitakami was traditionally agricultural; however, due to its ease of access with Sendai and Morioka via the Tohoku Expressway, the area has rapidly developed into a light manufacturing and transshipment center, with numerous industrial parks. Kitakami has 17 public elementary schools and nine public junior high schools operated by the city government and five public high schools operated by the Iwate Prefectural Board of Education. 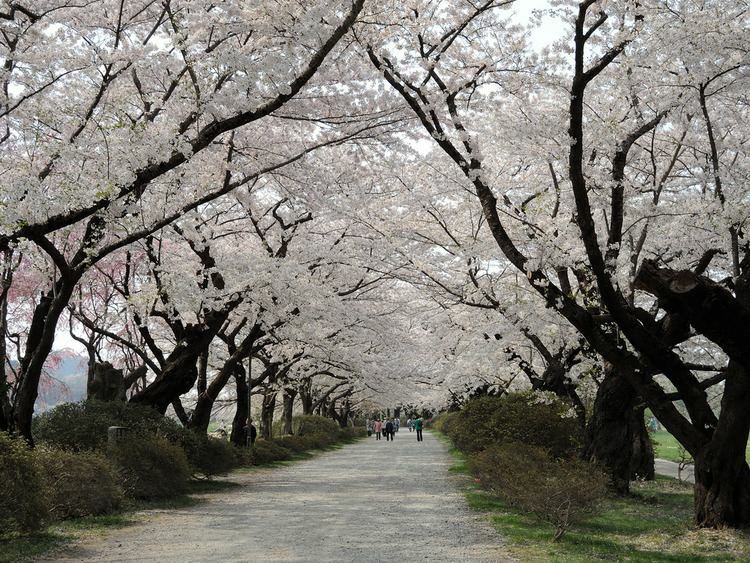 The city is famous for the sakura that bloom in Tenshochi Park, which is regarded as one of the hundred best places in Japan to view cherry blossoms. 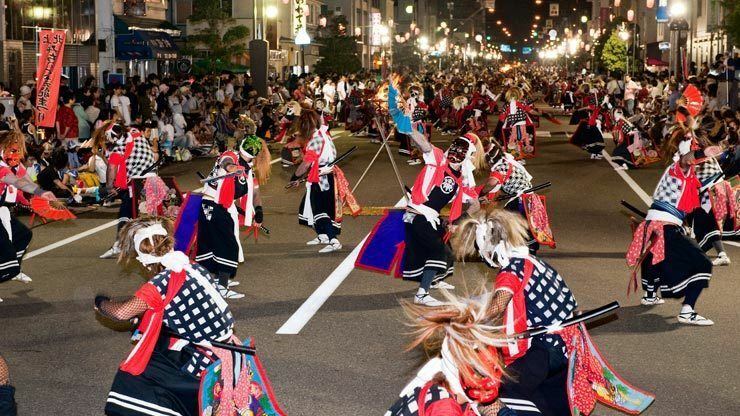 Another hallmark of the city is Oni Kenbai, a traditional sword dance where the dancers dress as demons, performed during the summer festivals, such as Kitakami Michinoku Traditional Dance Festival. Kitakami also boasts a site that is reputed to be the grave of the famous Heian period waka poet Izumi Shikibu.